I only used to read about this happening in foreign jurisdictions and I have seen it done many times in Hollywood movies, but it’s great to note that there is now a provision for it in our statutes and prisoners in Nigeria who been reformed can particularly take advantage of it. Getting a parole is a totally new thing in Nigerian criminal law administration and the closest we ever came to it was a state pardon by the Governor or maybe a prison decongestion drive by the Chief Judge of the High Court of a State. 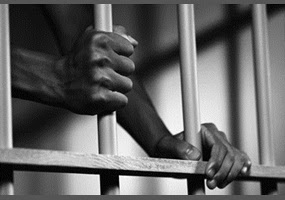 According to the Black’s Law Dictionary, 10th Edition, parole is the conditional release of a prisoner from imprisonment before the full sentence has been served. Usually, it is granted for good behaviour on the condition that the parolee regularly reports to the supervising officer. b) Has served at least one third of his prison term, where he is sentenced to imprisonment for a term of at least fifteen years or where he is sentenced to life imprisonment, the court may, after hearing the prosecution and the prisoner or his legal representative, order that the remaining term of his imprisonment be suspended, with or without conditions, as the court considers fit, and the prisoner shall be released from prison on the order. 2) A prisoner released under subsection (1) of this section shall undergo a rehabilitation programme in a Government facility or any other appropriate facility to enable him to be properly reintegrated to the society. 3) The Comptroller-General of Prisons shall make adequate arrangement, including budgetary provision, for the facility. One thing that crosses my mind though is how the Comptroller will adequately prepare such a facility if the prisons system remains underfunded as is alleged in certain circles by prison officials. I hope the government can pay a lot of attention to this, as it will ensure that our prison system is adequate in reforming prisoners and that those who are reformed and well behaved are given another opportunity at being better citizens in the society.